Competencies for the preparation and publication of articles, based on research, in scientific peer reviewed journals. Participation in Seminars, studies, tutorial orientation, field work and thesis development. 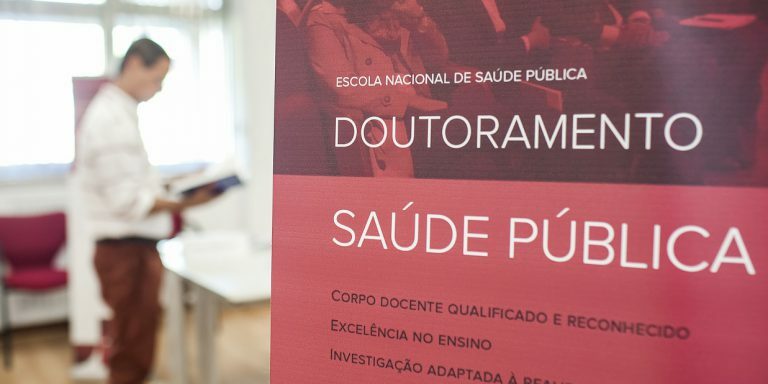 * The mentioned research topic should refer to the areas developed by ENSP-NOVA teachers and in the list of preferred themes for the 9th Edition of the PhD Program in Public Health, which are aligned with the areas of the Public Health Research Center (CISP). Holders of a school, scientific or professional curriculum that is recognized as attesting to the ability to attend this cycle of studies by the ENSP-NOVA Scientific Council. The jury is formed by 3 members, including the responsible for the areas of specialty to which the candidate applied for (or another teacher from the same area on his / her behalf) and two members of the scientific doctoral committee. A minimum of two members will participate in the interviews; the presence of a teacher from the area of ​​specialty is mandatory. Research theme (proposal presented, motivation and substantiated justification of scientific interest in public health, scope of research interests from the School teachers, feasibility) - 25%. Individual Interview (ability to answer the questions asked; shown motivation) - 20%. Each member of the jury scores their criteria on a scale between 1 and 5. The members of the jury evaluate all candidates on the first 3 criteria as well as the 4th when they are present in the respective interview. In the 1st phase, only candidates with a grade of 16 or higher (on a scale of 0 to 20 values) will be accepted in the selection process and candidates with a grade below 14 will not be admitted. Candidates with grades between 14 and 16 values ​​in the 1st phase may be admitted to the 2nd phase. There may be supernumerary vacancies.